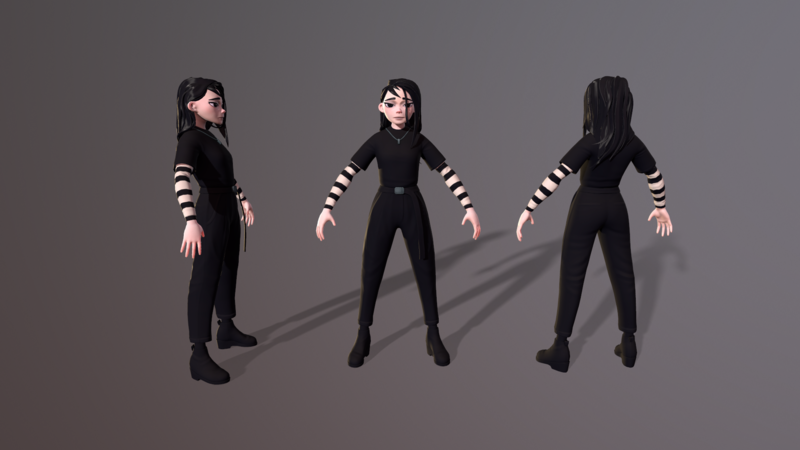 I just started a new character for a personal project and I figured I'd share the process at the same time. I'm very open to any critique or comment! Here are the two different concept art I did for this character. 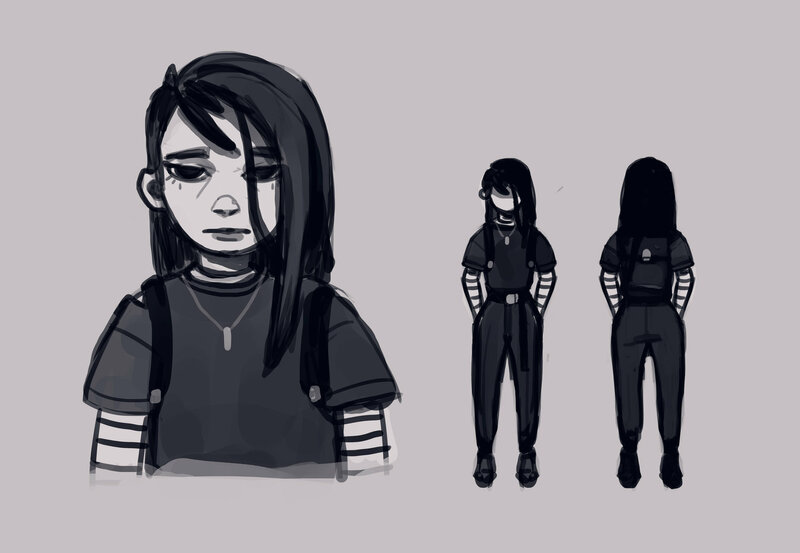 The character is supposed to be gloomy, sad and cute with a small hint of badass. The visual style is simplified and stylized. 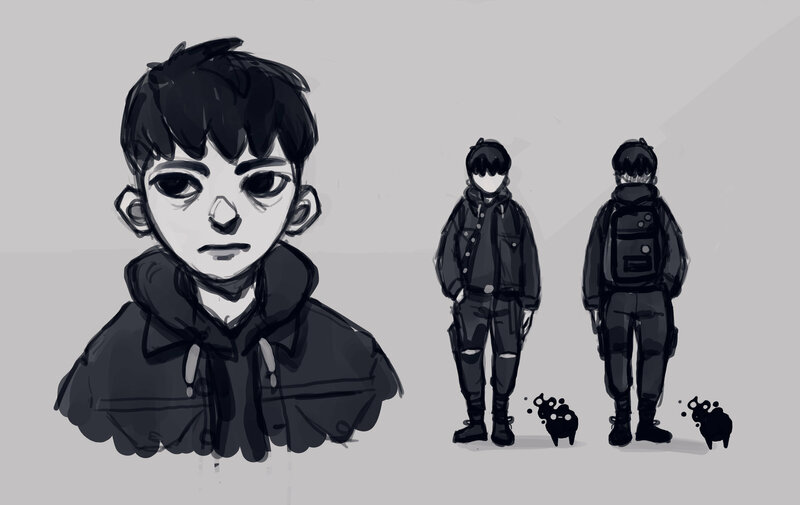 Think of a mix between Pixar, Tim Burton and Inside (the game). I have more backstory but I'm trying to keep this fairly straight forward . 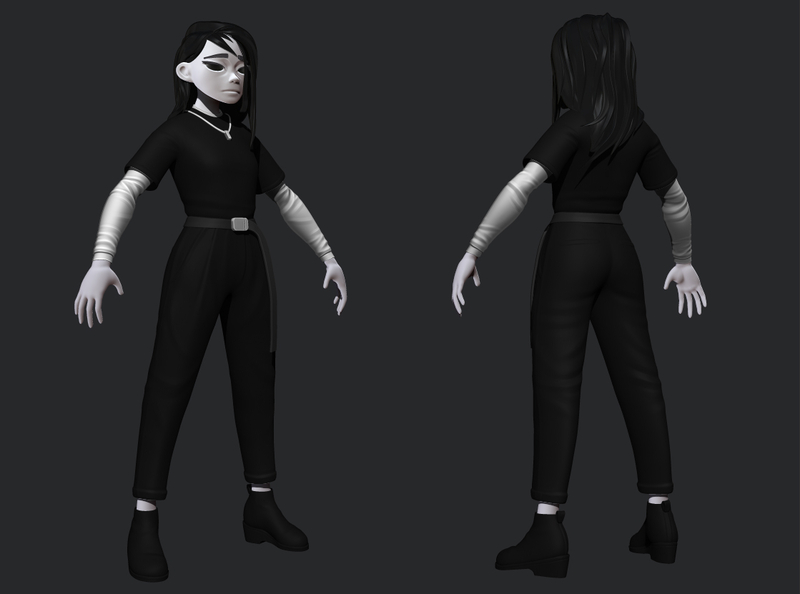 I decided to go with the female character after getting some feedback from friends. I might change some of the design along the way. 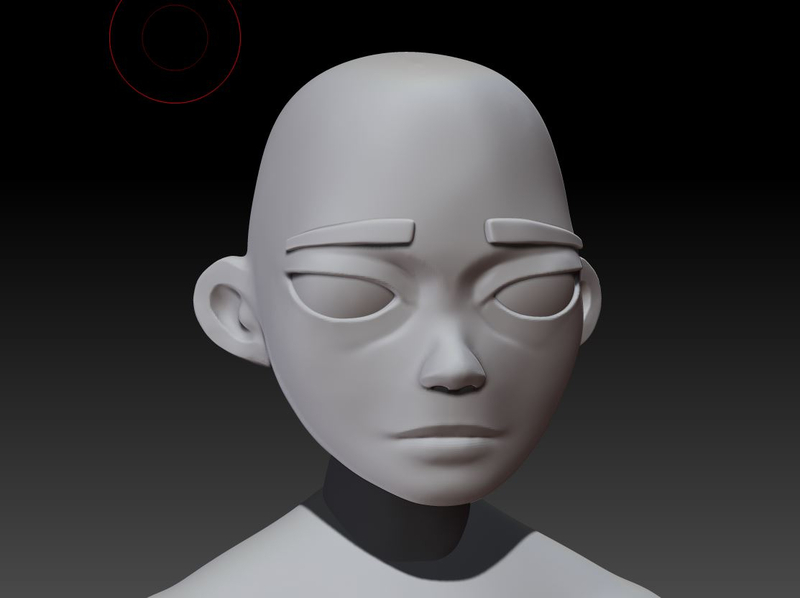 Here's a quick sculpt I started today in ZBrush to quickly block in the proportions. I'll probably start working on the hair next and keep adjusting the proportions and facial features as I go along. I'll keep updating this thread as I keep working on this, hopefully it's insightful or at least entertaining! 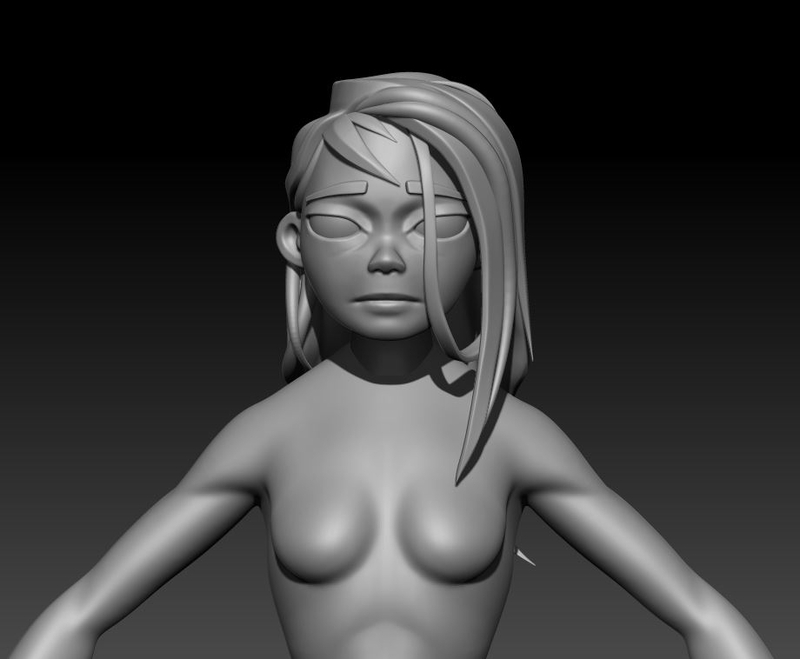 Started working on the hair. Dig the direction! Face is unique which I like. Her proportions feel a bit off. They feel like teens or kids in your concept but the body sculpt feels too hourglass for a teenager. Thanks for the feedback my dude, i've fixed the proportions a bit! 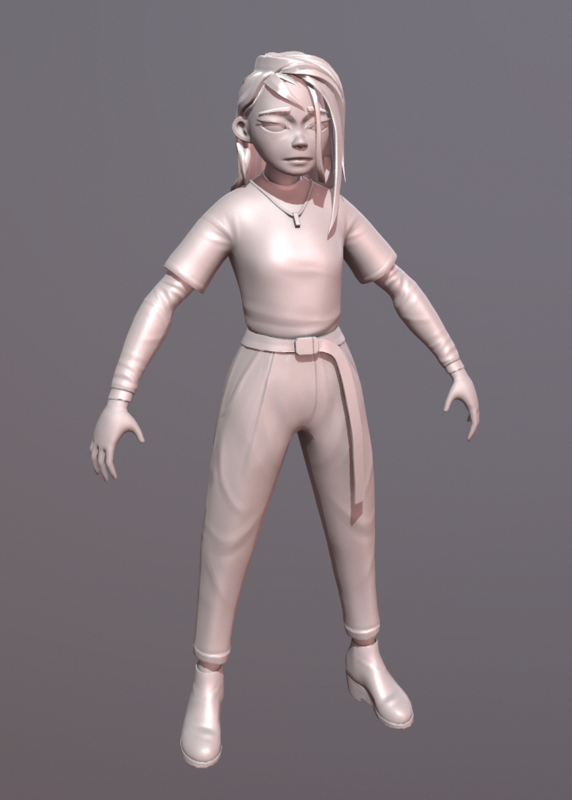 I started adding some of the clothing, i refined the hair and face a bit as well. more work in progress, started the pants. Looking very cool - really like this style! More work in progress, testing out some values. 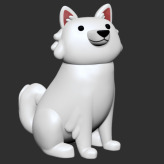 Starting to think about my retopology. 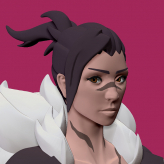 should i make the hair a separate mesh or combine it with the head? 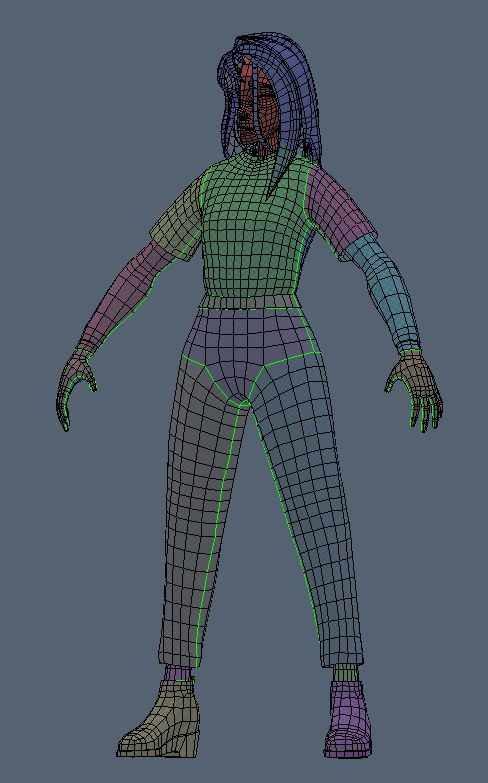 I think I'm leaning more on the separate mesh way but i might be wrong. same line of questioning for the eyelashes. 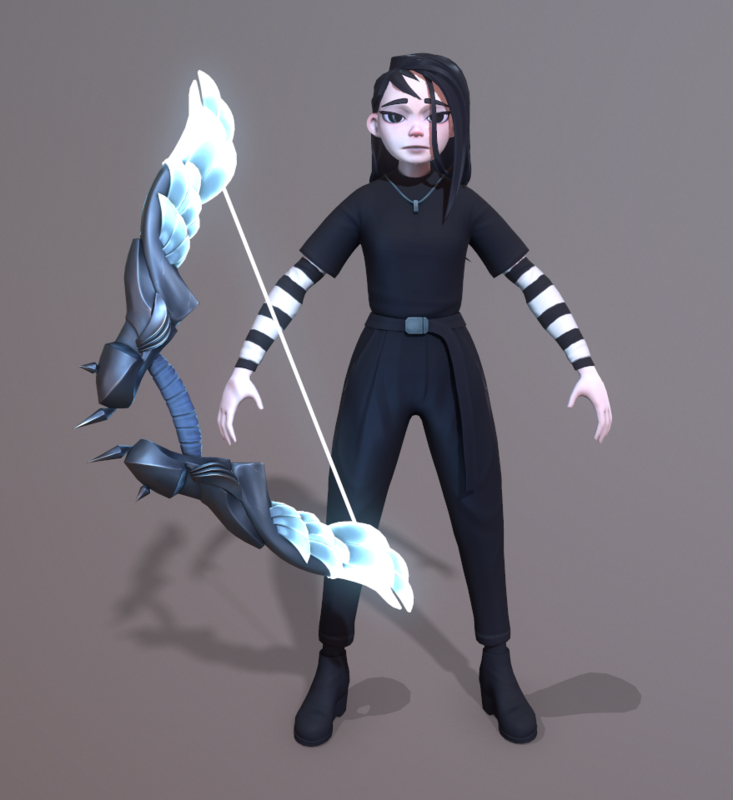 Taking a small break from re-topology to finish up the bow concept for the character. Here's a sheet with some of my references and a quick sketch on the bottom, I might still change a couple of things but this is the direction so far... As the name of the thread might suggest, this whole character is based around the "Shrike" bird, which is a carnivorous bird notorious for impaling it's prey on sharp sticks before eating it. I wanted to keep that in mind when thinking about shape design. So far I like the shapes but it doesn't feel as gloomy as i'd like, although I kind of want the feel from the bottom right image where the weapon feels kind of comforting to the character. I'd love to know what you guys think! I really like your character style. 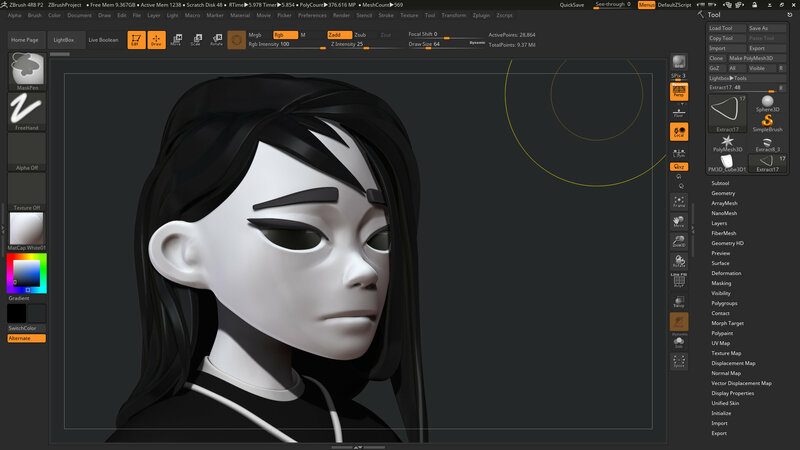 I think it would benefit you to make the hair a difference object from the head so that it won't give you a hard time figuring out the head topology. As for your bow, I like the shape and I think you're heading in a pretty good direction with it. 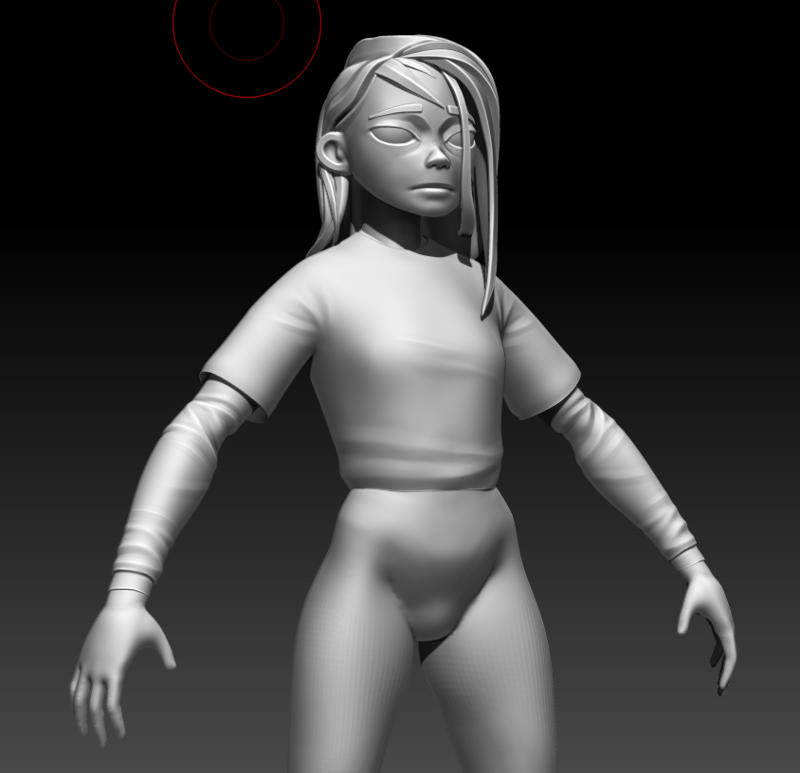 Almost done, not a fan of retopology. 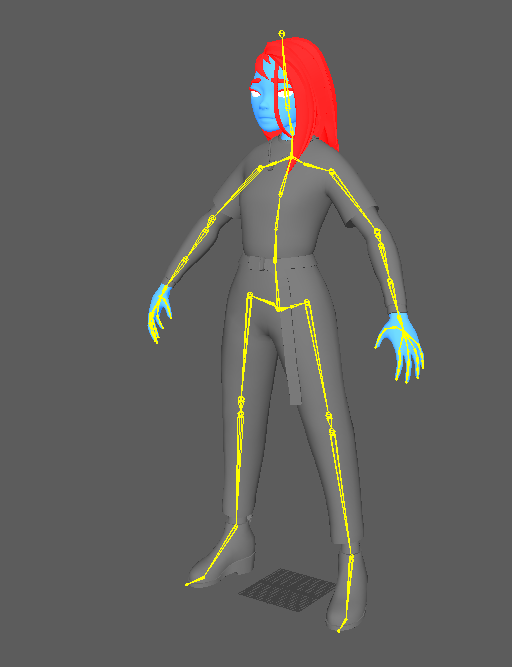 Re-topology is done, I know it's not perfect, but it's the happiest I've been all week! Feeling very excited to jump into baking and texturing. Bake came out alright, I still need to fix some areas, but i'm starting to see the light at the end of the tunnel. 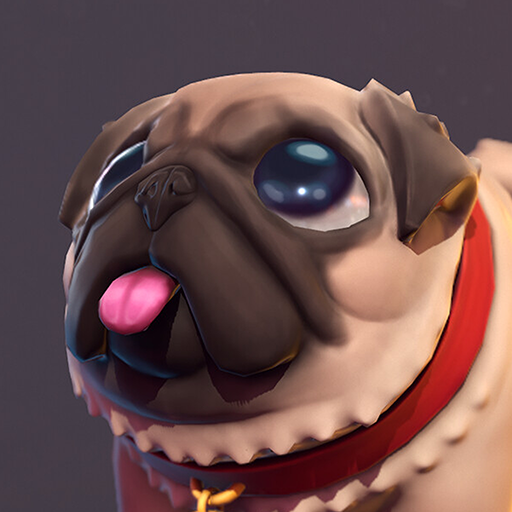 This is a test render in marmoset toolbag. 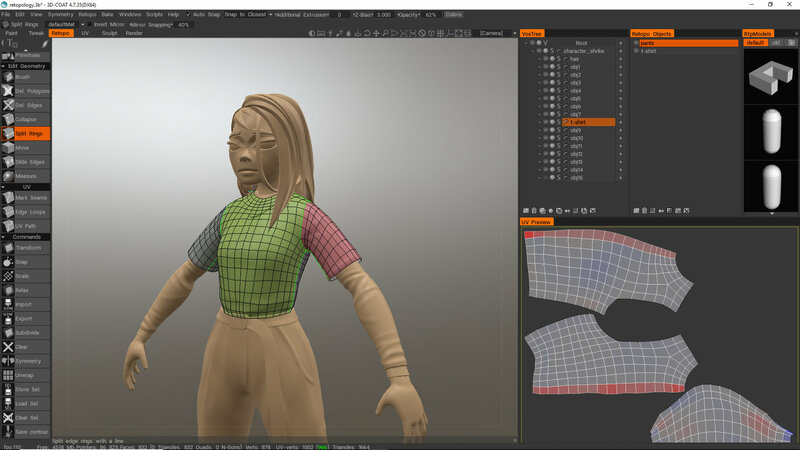 First texture pass. 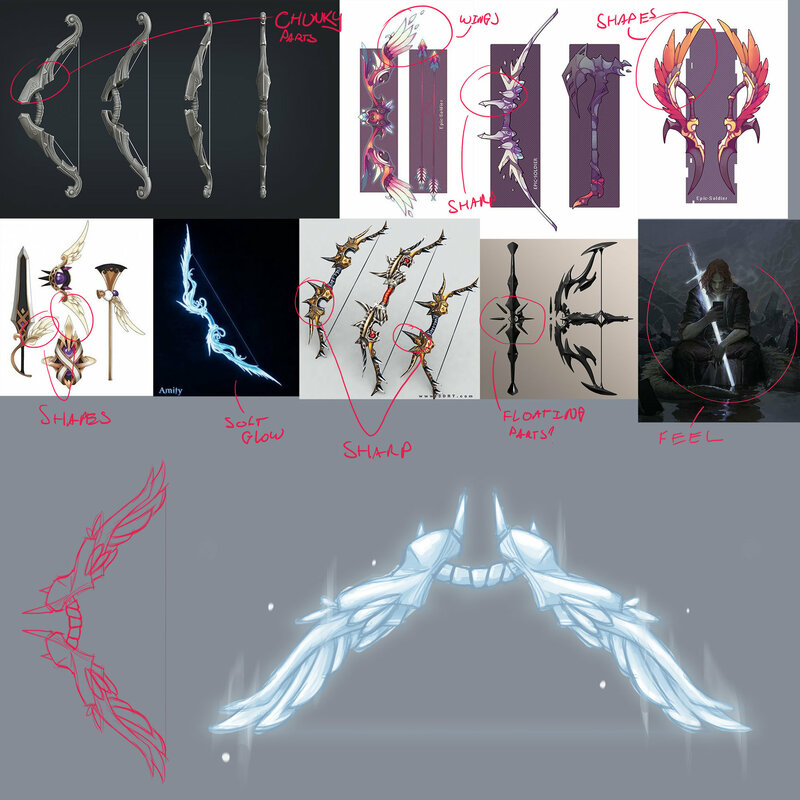 Might take a break soon and switch to the bow. Would love to get some critique. Also, do you guys know how to paint a direction map from scratch? 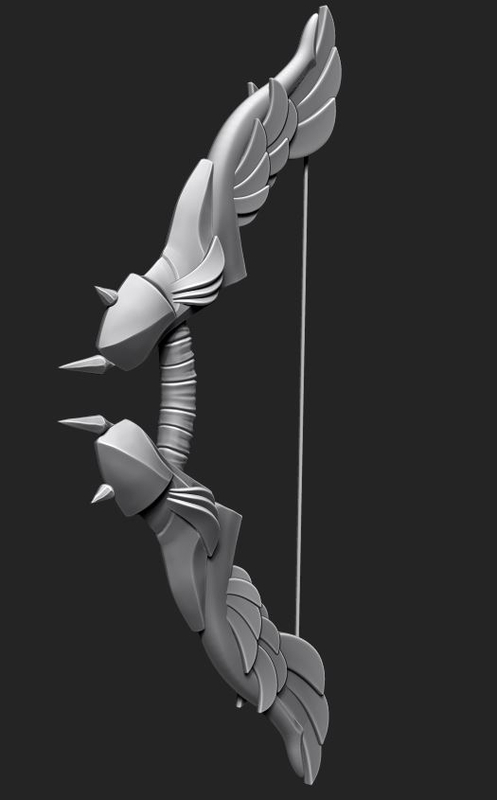 Here's a quick update on the progress i made on the bow. I decided to change the design after experimenting with different options and add some metal near the handle. 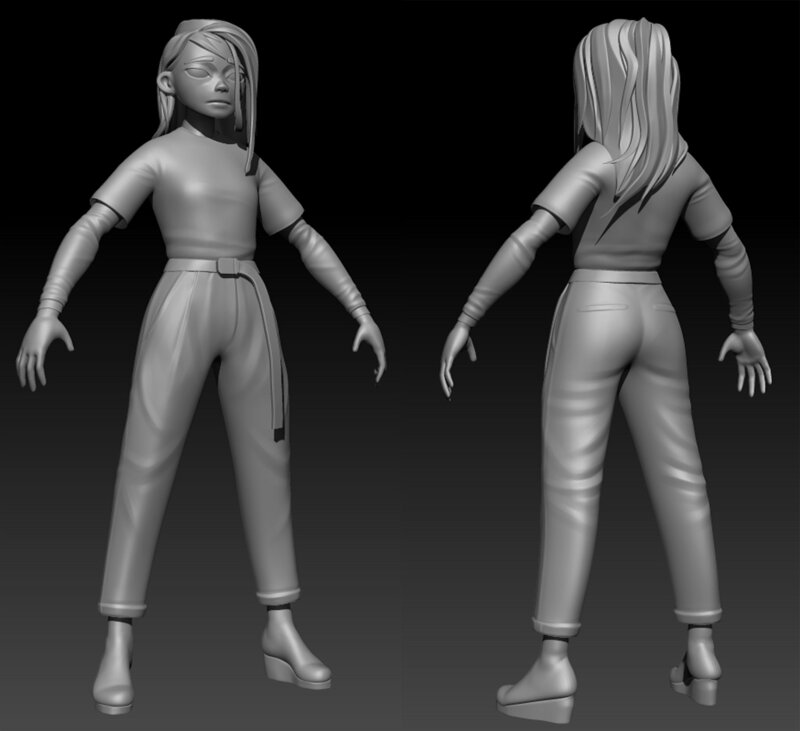 Riggin in progress... 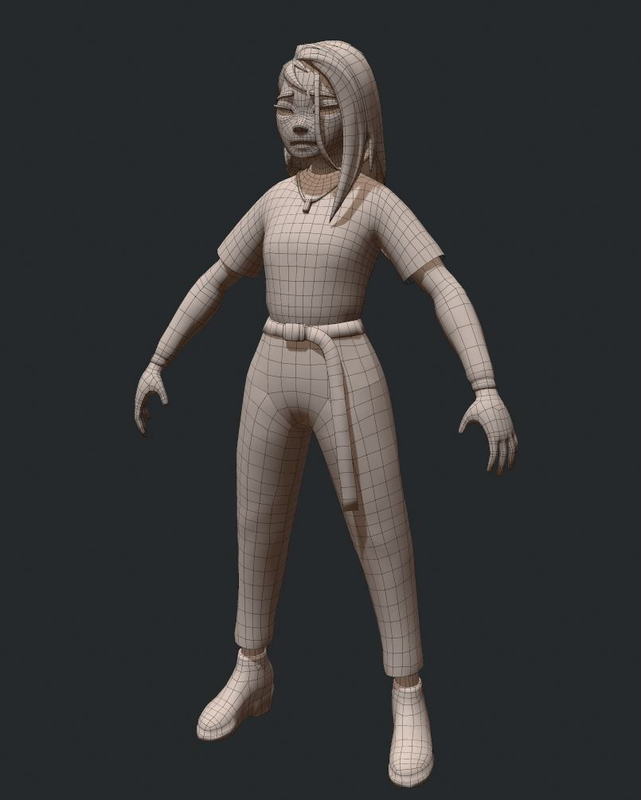 I'm new to Maya so this might take a while hahaha. 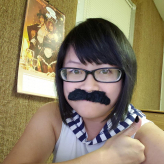 Rig update - day 5: I'm slowly loosing my sanity. I'm starting to think in hierarchies and constrains.